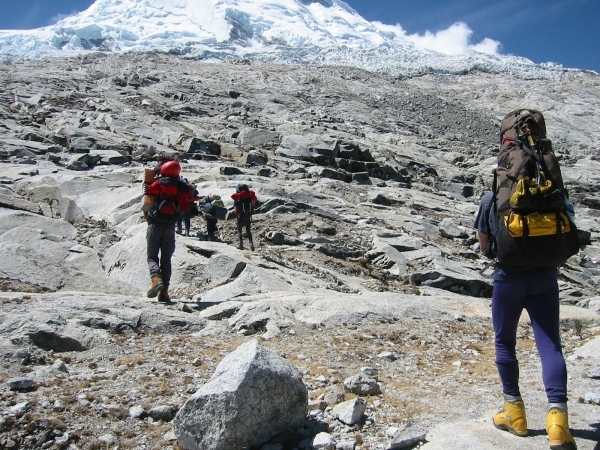 Huascaran is Perus highest mountain; its two summits are separated by an enormous col, the Garganta, which is gained by climbing along the edge of a tumbling icefall. This can give several short steep pitches, although the difficulties can change overnight. From the top camp just below the Garganta, the route to the south summit follows snow and ice slopes, steeply at first, to the highest point in the tropics.